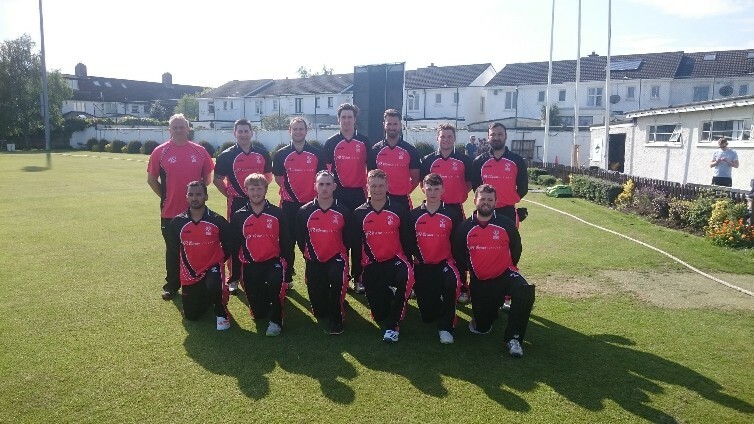 Set 161 to chase, a batting collapse saw the Munster Reds go down by 80 runs in their re-fixed Hanley Energy Interprovincial T20 opener against the Leinster Lightning at Pembroke's CC. With the game changed to Sydney Parade following fears about the playability of the Mardyke, the Reds lost the toss - sporting brand new kit sponsored by All Rounder Cricket - and were put in to bowl, and set about limiting last year's IP20 champions under glorious skies in South Dublin. The Lightning have won all-but-one edition of this competition, and are the undisputed leaders across the four provinces at the moment, but were forced to build slowly, as the Reds missed a few chances in the field to dismiss openers Gareth Delany, and recent test debutant Andrew Balbirnie. Yaqoob Ali - whose figures of 4-29 saw him the pick of the Reds bowlers - grabbed his first by trapping Balbirnie for 12 in the seventh over, before repeating the trick with his next over, Simi Singh showing some dangerous early signs before also being given out lbw. Delany was still there however, battling away on an early-season pitch, and despite losing Kevin O'Brien to Jack Carty at the boundary, he carried on with Seán Terry, reaching his half-century in the 13th over. Delany was eventually caught on the rope by Reds debutant Max Sorensen, bowled Terry with the final ball of the innings on 33, not before Ali got his fourth, clean bowling John Anderson, as the Lightning finished their 20 overs on 160-5. The Reds innings didn't get off to the greatest of starts, as captain Jack Tector nicked behind in the first over, and while Stephen Doheny made a start, he chopped one back onto his stumps to leave the Reds 21-2. A mini-revival followed, as Robert Forrest came to the crease, and set about rotating the strike with opener Jamie Grassi, acquitting himself well having lost several partners along the way. However, with the North County player trying to get the Reds back in line with the run-rate, he was caught on the boundary, signalling the start of a middle-order collapse. From 46-2, the Reds soon found themselves at 56-7, with Forrest, Sorensen, Jeremy Benton, and Jack Carty joining Grassi back in the pavilion. One bright spart for the Reds was the determined innings from Limerick's Murtaza Sidiqi. The all-rounder has impressed with both the Munster Heat and his own club in the All Rounder Premier Division, and played some cracking shots, including a big six over long-on, having seen Morne Bauer depart. However, going down the track, the Afghan-Irish player tried the same trick, but this time couldn't beat the fielder, and with the very next ball Ali was bowled, with the Reds finishing on 80 all-out in 15.4 overs. Next up for the Reds is the long trip to Eglinton CC to face the North-West Warriors next Friday (25th), first ball there is at 5pm.